Scrimshaw inspired artworks. 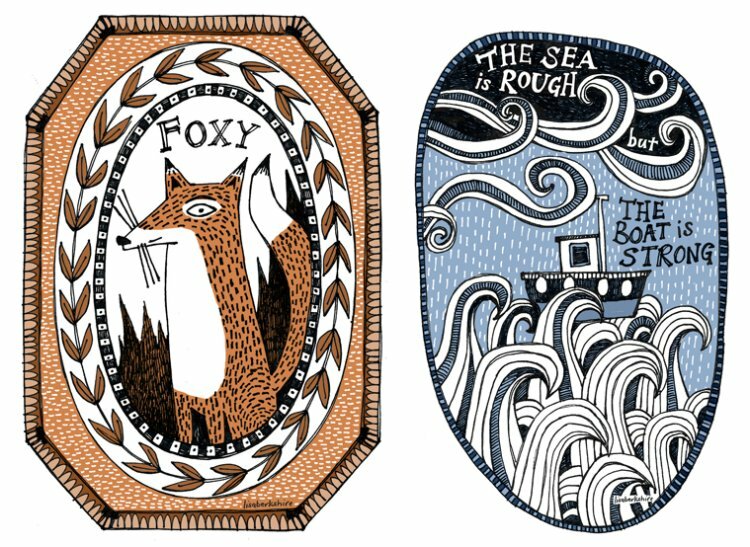 'Foxy' and 'The Boat is Strong'. These artworks are available as prints. I have wanted to work in a scrimshaw type style for a while, and these are my first artworks doing so. I love the line and repeated pattern. I have added subtle monotone colours to enhance the overall look.